MANILA, Philippines - Some 10 Filipinos in South Korea have qualified as regional finalists in the DZMM World Caravan Global Pinoy Singing Idol contest. According to Fe Kim, a Filipino married to a Korean and president of the Filipino Korean Spouses Association, 21 Filipinos in Korea joined the elimination round last month held at the conference hall of the Philippine Embassy in Itaewon, Seoul. They were judged based on voice quality and musicality, star quality, stage presence, timing and overall impact. Those who qualified for the regional finals are: Mary Viena Tolentino-Park, 28; Annabelle Lopez, 37; Maya Balase Gregory, 36; Peter Lloyd Cabillo, 32; Jancy Gapud, 31; Rechelle McConell, 28; Jayan Carlo Salgatar, 28;Genieveve Monterola, 25; Erick Christian Robles, 28; and Susan Pajudpod, 28. Tolentino-Park made history in Korea when she won as grand champion in the 2011 KBS 1TV National Singing Contest finals held last December. "The ten finalists are coming from different walks in life. Out of ten finalists, there are three persons working as an entertainers, one person working as an EPS worker, two persons are studying Master's degree, two contestants are Korean housewives and two contestants are married to American," said Kim. The finals of the Korea leg of the Pinoy Singing Idol will be held on July 8 at the KyungHee University Auditorium in Seoul. Kim said two winners will be chosen in Korea. "The two winners will be going to Manila to compete the national finals and meet other finalists from different parts of the globe. As second party co-producer/coordinator we will provide two of them the round trip tickets to represent South Korea," she said. 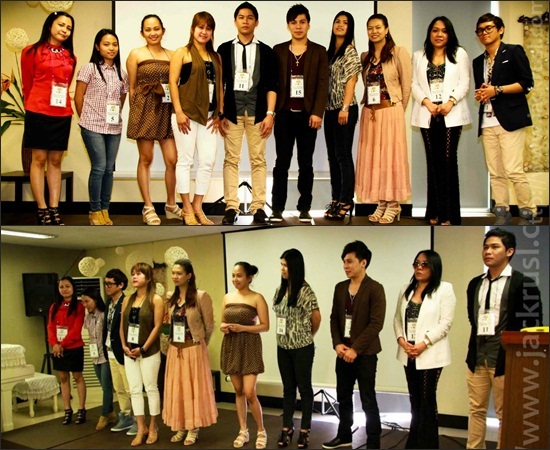 The Global Pinoy Singing Idol is open to amateur Filipino singers abroad between the ages 18-45. Each contestant is allowed to sing one song in Filipino or English. Kim said the Global Pinoy Singing Idol contest is organized by DZMM with the Filipino Korean Spouses Association as co-producer with the support of the Philippine Embassy in Seoul and the Philippine Department of Tourism in Korea.